Measure Twice, Cut Once …. and Other Handy Cutting Tips! Hi all! It’s a very cold and snow covered day here in North Iowa. I am sitting at my computer thinking of what wisdom I could share on any one subject. 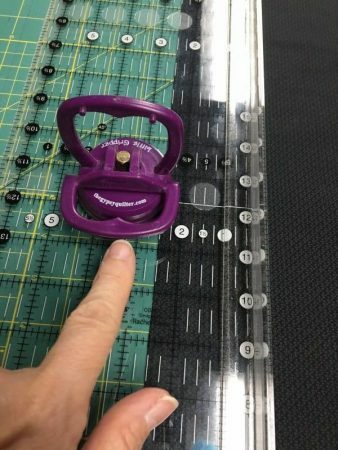 Instead of focusing on one thing, I came up with some tips on fabric cutting, measuring and such. 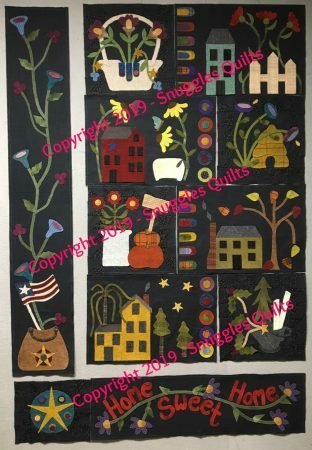 I’ll share these thoughts in this post that will hopefully have some information that is helpful to you and makes your quilting experience more enjoyable! That old adage of “measure twice, cut once” is true. I have cut strips before that I though were 2 1/2″ wide only to find I cut them 2 1/4″ wide because I was looking at the wrong line on my ruler! 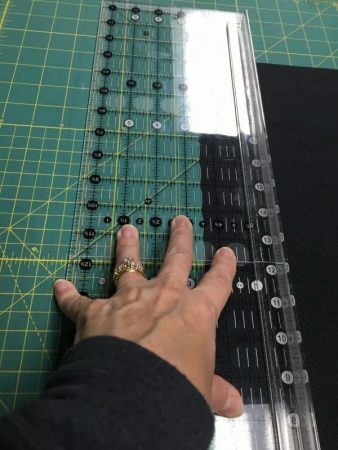 Always line up the ruler with the edge of your fabric and double check that your ruler is placed correctly. Also make sure it’s not crooked. I’ve done that too. 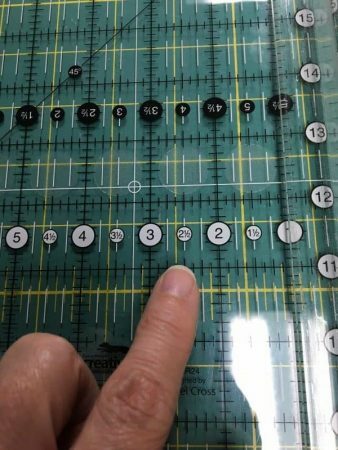 I like rulers that have the numbers marked (instead of just having to look for a line) in the middle as well as on the ends so you can check your placement. I found that’s why I like Creative Grid rulers. So for example if you are cutting a 2 1/2″ strip, make sure the 2 1/2″ line is evenly up against the whole length of the edge. Then you are sure to get an accurate width strip. To keep the ruler from shifting while you cut, use even pressure with your hand, not to heavy and not too light. Also make sure your hand is in the center of the ruler. 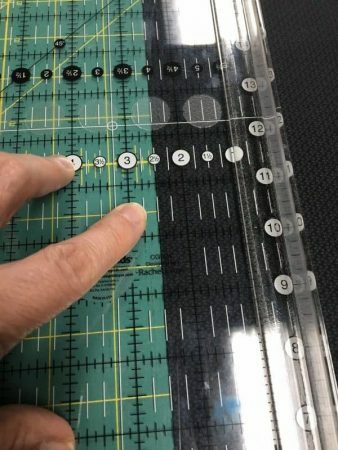 Even if your ruler has gripper dots on the underside (which the Creative Grid ruler does), it can still shift if you are not holding it down correctly. “Tent” your hand as shown in the photo below with your pinkie on the edge to keep the ruler from moving. If you place your hand flat on the ruler, you may inadvertently push the ruler forward. Tenting your hand makes the pressure your are exerting go down instead of forward. If you have trouble applying pressure with your hand alone, there’s some handy little tools that help you with that. Here is one such tool called the Little Gripper by The Gypsy Quilter. This tool works with suction and sticks to the topside of the ruler so you can use the handle to apply even pressure and keep the ruler from moving. 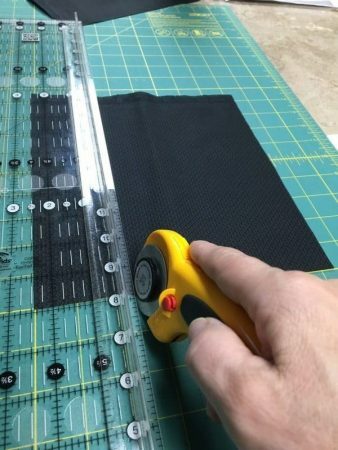 If it’s angled in any way, the blade of the rotary cutter can wander away from the edge of the ruler and your strip will be cut inaccurately. And, of course, always cut away from your body. Make sure your blade is sharp. It’s a good rule of thumb to replace your blade after cutting out a project. Now, if I’m cutting smaller table runner or mini wall hangings, I may cut out 3 or 4 of those before changing my blade. But, if I am cutting out a large quilt, I will change my blade when I am done with that. One way you can tell if your blade is dull is if there are “skips” in the cut you are making or if you have to press down harder than normal when cutting. If that happens, change your blade! 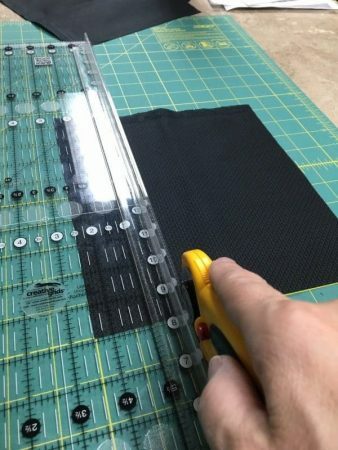 While cutting out a project, it’s a good idea to use the same brand of ruler for all the pieces. Different brands of rulers can have lines of different thickness. 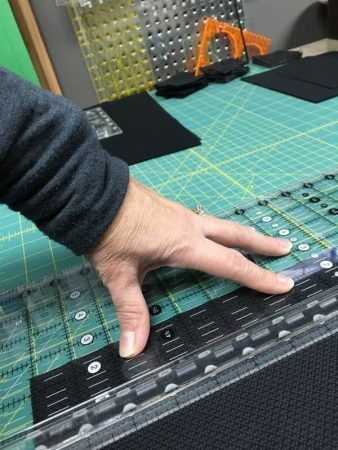 Even if they are off by 1/16 of an inch, it could cause a problem when you are piecing. Be sure to close and lock your blade every time you put your rotary cutter down. That is just common sense safety. Rotary cutters can be knocked off the table and if it’s not closed and locked, it can injure you badly. Also, make sure your fabric is squared up. 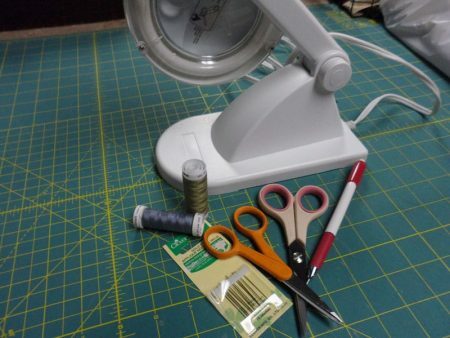 You may also have to repeat squaring it up if you are cutting a lot of strips from your fabric. 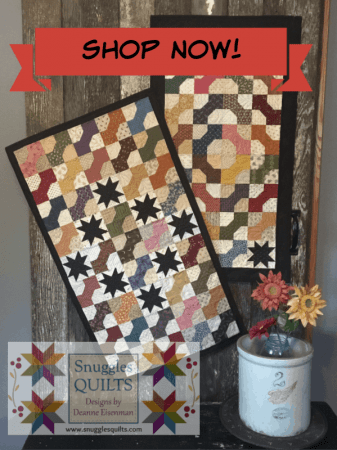 I did a post on squaring up your fabric. You can find it here: Fabric Cutting – Tools, Accuracy and Safety First.